"Where did I put those insecticide spray cans?" The Heroes franchise enters a new era. Dive into the new groundbreaking Might and Magic universe for the most complete strategy gaming experience ever created. Cutting-edge technology: for the first time, experience the world of Might and Magic in a full breathtaking 3-D animated world supported by a consistent and modern graphic style. Deep scalable turned-based battle system for challenging and tactical combats: Find out the combat system that made the success of the Heroes series or experience the brand new Dynamic Battle System. Choose from over 200 skills, 170 creatures’ abilities, and 40 spells to build up your heroes and their armies. New darker heroic fantasy universe: discover a completely revamped and more mature universe that features six unique factions and over 80 different creatures. Live the adventure like never before through a grasping storyline that features special objectives, numerous side quests, and plot twists. Complete strategy experience: during six campaigns and over 30 missions, experience the finest blend of adventure, strategy, tactics, management, and role play ever brewed, through a user friendly yet deep turn-based system that favors tactical thinking over button mashing. Heroes of Might and Magic V also introduce the new exclusive Duel mode: challenge your opponent in fierce battles where only the slyest shall prevail. The Complete Edition contains all five Heroes of Might and Magic episodes, including the latest instalment - Heroes of Might and Magic V - and the entire versions of Heroes of Might and Magic 1 to 4. Use the new dynamic tactical combat system, or the classic system, when confronting 6 factions and over 80 countries. In multiplayer, you can even play during your adversary's turn using Ghost Mode, or concentrate on the tactical combat in Duel Mode. Please note, Heroes of Might and Magic 1 must be played in MS-DOS. Discover a new breed of action game powered by an enhanced version the Source Engine from Valve. 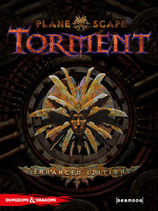 Set in the Might & Magic universe, players will experience ferocious combat in a dark and immersive fantasy environment. Become an expert warrior, mage or assassin, using a vast array of devastating weapons, against huge and vicious creatures in a deep and captivating fantasy. Limited Edition includes: Premium in-game extras, 1 character skin for multiplayer, 4 unique weapons for single-player, Collectible character cards, Soundtrack CD, Making-of video. Enlist with the humans or the undead and choose among four character classes. Get ready to battle with up to 32 players in several online modes, ranging from simple deathmatch to the revolutionary Evolution mode, which will allow you to gain experience and new equipment across dynamic online campaigns. Gothic II Gold Edition features two full games, which include Gothic II and the expansion pack Gothic II: Night of the Raven. Imagine a place of wonder, where magic and technology hold equal sway, and an adventurer might just as easily wield a flintlock pistol as a flaming sword. A place where great industrial cities house castle keeps and factories, and home to dwarves, humans, orcs, and elves alike. A place of ancient ruins and steam works, of magic and machines, of sorcery and science. Welcome to the land of Arcanum. Most role-playing games are set in a fantasy world, and if they're not directly related to Dungeons & Dragons, they at least follow the blueprint of the D&D rules. Not so with Arcanum. Set in the world of steampunk--a genre of fiction that puts forth the idea that computers and other advanced technology existed back in the late 1800s--Arcanum's world is fantastic and instantly recognizable at the same time. The game begins with the crash of the L.F.S. Zephyr, which you were aboard. Things go from bad to worse as assassins try to kill you. Meanwhile, you struggle to understand why people think you are the reincarnation of "The Living One." Developed by Troika Games--which is staffed by many of the people who created the excellent Fallout games--Arcanum takes the conventions of the RPG genre and turns them on their head. Instead of binding players to a specific character class, such as Paladin or Barbarian, Arcanum lets you create a completely unique character. Experience points can be distributed in any area, so you can create a character that's a thief, magic user, and gunslinger all in one. In addition, you can specialize in either magic or technology, which will impact how the other characters in the game deal with you. The world of Arcanum is simply massive, and the story is extremely detailed. The main plot will provide you with 30 to 40 hours of gameplay, and the side quests will add another 10 to 20 hours to that figure. The quests run the gambit from fetching items to finding a cure for lycanthropy, and they're all well designed. Arcanum is viewed from a third-person isometric view--similar to Diablo II and Baldur's Gate II--and the graphics easily compare with any other RPG on the market. The characters are modeled nicely, and the backgrounds and structures are very detailed and really add substance to the game. Unfortunately, even on a high-end system such as an Athlon 1.33 GHz, the game suffers from long loading times, and will occasionally slow down during combat. Those minor problems aside, Arcanum is a sensational game. The open-ended nature of the character-creation system guarantees replayability, and the setting and story will offer relief for anyone tired of Diablo II's dungeon crawls. Character Creation: No More Character Classes. Arcanum uses a classless, point-based system where players use points to "buy" attributes. You're only limited by your own creativity in guiding your character's development. Select from 9 classes, including holy Paladins, shape-shifting Druids, powerful Warriors and Mages, demon-summoning Warlocks, and more. Encounter many familiar and new Warcraft characters and monsters. Learn the continuing story of Azeroth by completing a wide variety of challenging quests. Explore 6 huge capital cities, which serve as major hubs for the races inhabiting them. Purchase tickets for travel along a number of air routes flown by creatures such as Gryphons and Wyverns. For global transportation, travel by Boat or Goblin Zeppelin. Once a certain level has been achieved, players can choose to purchase permanent personal mounts, such as Dire Wolves and Horses. Establish a guild, purchase a custom guild tabard, and promote or demote recruits to different ranks within the guild. Locate and engage other players with easy-to-use features and tools, including chat channels, friends lists, and animated and audible character expressions. Customize the game's interface via XML. Enjoy hundreds of hours of gameplay with new quests, items, and adventures every month. The World of Warcraft 60 Day Pre-Paid Game Card lets gamers enter the world of Azeroth for 60 days of real-time combat in an incredible fantasy setting. Several years have passed since the Burning Legion's defeat at Mount Hyjal and the races of Azeroth have continued to rebuild their once shattered lives. With renewed strength, the heroes of the Horde and Alliance have begun to explore new lands and broken through the Dark Portal to investigate the realms beyond the known world. Will these heroes find friends or foes? What dangers and rewards lie in wait beyond the Dark Portal? And what will they do when they discover that the demons they thought vanquished have returned to renew their terrible Burning Crusade? World of Warcraft: The Burning Crusade is the exciting new expansion to Blizzard's award-winning massively multiplayer online role-playing game. It expands the game by tremendous bounds, adding new races, lands, Battlegrounds, professions and items, and more. Bloodmoon takes you to the frozen Island of Solstheim where you'll experience snow, blizzards, and new creatures, including frost trolls, ice minions, and wolves…just to name a few. You'll have a choice of stories to follow and have the opportunity to defend the colony, take control over how the colony is built up, and eliminate the werewolves. Or, you can decide to join the werewolves and become one of them, opening up a whole new style of gameplay. Elder Scrolls IV: Oblivion is single-player role-playing action in the world of the popular Elder Scrolls game. The Emperor of Tamriel has been assassinated and the killer still runs loose. Meanwhile, no heir sits on the throne. With no Emperor upon the throne, the gates of Oblivion open wide and demons invade. Your quest is to find the lost heir and place him on the throne, before demons destroy the land. Special Collector's Edition includes: Pocket Guide to the Empire, "Making of Oblivion" Documentary and a Septim Gold Coin. Next-generation graphics with pixel-shader effects for high-definition TVs, creating lifelike towns & dungeons, and the most realistic forests.